With manufacturing facility located at Bangalore, Ace Forge is one of the largest automobile parts manufacturing companies. With more than two decades of experience in automobile parts manufacturing, we have been able to manufacture reliable and durable automobile parts for our huge clientele. To come up with the latest, technologically advanced and the most efficient automobile parts, we ensure the best-in-class services and parts as per customer’s requirement. This in fact proves to be a greater reward and has helped us gain a respectable position among automobile parts manufacturing companies. We leverage cutting-edge R & D and state-of-the-art manufacturing to deliver superior quality automobile parts. With our facility spread across 15,000 Sq. 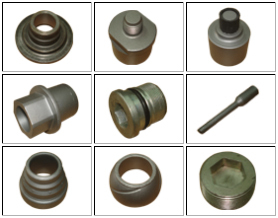 Ft., we manufacture a wide array of safe and critical automobile parts with the highest accuracy and precision. We are ISO 9001:2008 & ISO/TS 16949: 2009 certified and meet the most stringent quality norms set by our diverse range of customers. We strive to be the numero uno among the automobile parts manufacturing companies.